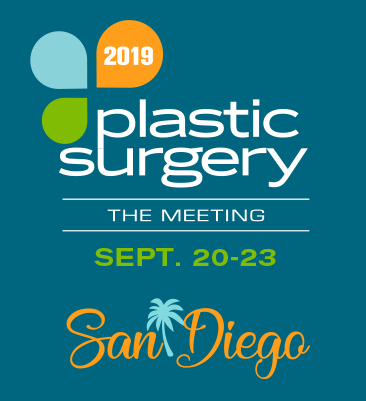 The following pricing details the deadlines and cost structure for Plastic Surgery The Meeting 2019 in San Diego, California. The meeting will take place Sept. 20-23, 2019 at the San Diego Convention Center. International plastic surgeons that have been in practice for less than three years, with an ASPS international candidacy membership qualify for this category. Registrants will also receive complimentary admission to the International Attendee Reception. International trainees actively engaged in a recognized plastic surgery residency program outside the U.S. or Canada who are currently enrolled in the ASPS International Trainees Forum qualify for this category. Registrants will receive the following complimentary items: meeting registration; admission to the International Attendee Reception; and the Residents’ Day Program and Resident Networking/Mentorship Reception. Affiliate members are plastic surgery team members, whom also hold membership with ASPS. Affiliate members receive discounted registration fees and the option to register for courses in any educational track. Visit PlasticSurgery.org/JoinASPS for more information on becoming an affiliate member. Residents and fellows in an approved plastic surgery residency or fellowship program that are currently enrolled in the ASPS Residents and Fellows Forum (RFF) qualify for this category. Visit PlasticSurgery.org/RFF for the application. If a first-time attendee, a copy of medical license is required within 10 days of registration. Surgeons actively engaged in the practice of plastic or reconstructive surgery and reside in North America or an international country may qualify for this category. If a first-time attendee, a copy of medical license is required within 10 days of registration. International trainees actively engaged in a recognized plastic surgery residency program and not currently enrolled in the ASPS International Trainee Forum may quality for this category. Verification letter from training program director is required within 10 days of registration. Residents and fellows in an approved plastic surgery residency or fellowship program that are not currently enrolled in the ASPS Residents and Fellows Forum (RFF) may qualify for this category. If a first time attendee, a verification letter from training program director is required within 10 days of registration. Or visit PlasticSurgery.org/RFF to complete the application. *Subject to verification and approval by ASPS. Nurses, physician assistants, research assistants, residency coordinators, and other office staff of plastic surgeons qualify for this category. Letter from physician employer required within 10 days of registration. Non-marketing industry personnel, including members of the medical, regulatory affairs, education community or research and development scientists, may qualify for this category. Letter of verification from registrant (on company letterhead), providing corporate affiliation and role is required at time of registration. Verification materials are subject to ASPS approval prior to registration processing and confirmation. Personnel involved in analyzing financial information to forecast business, industry, and economic conditions for use in making investment decisions in the plastic surgery space may qualify for this category. Letter of verification from registrant (on company letterhead), providing corporate affiliation and role is required at time of registration. Verification materials are subject to ASPS approval prior to registration processing and confirmation. Medical students currently enrolled full-time in an ACGME-accredited program qualify for this category. Registrants will receive complimentary admission to the Medical Students’ Day program. Copy of student ID or letter from the medical school registrar required. Physician registrants have the option to register one spouse or guest to attend the meeting. Neither continuing medical education credit nor corresponding course registration is available, if registered in this category. Life-Active physician registrants have the option to register one spouse or guest to attend the meeting. Neither continuing medical education credit nor corresponding course registration is available, if registered in this category.